Credit: Alix Carey’s ‘The Unicorn Cookbook’ with an adaption from the book for the frosting and sprinkles. 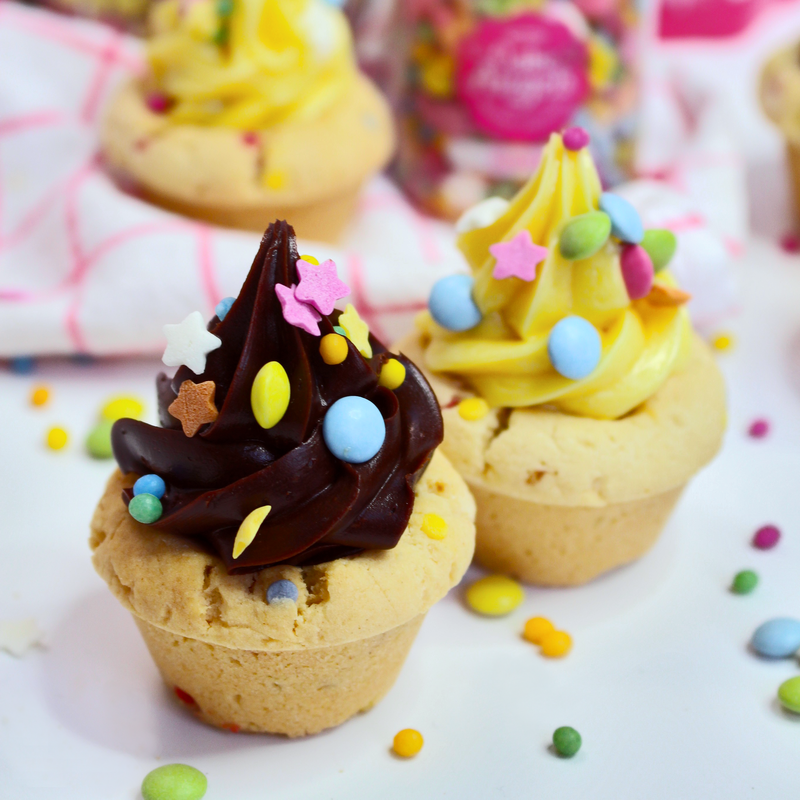 You will need a 12-hole mini cupcake tin, a piping bag and a closed- star piping nozzle. Pre-heat the oven to 170°C and grease a the mini cupcake tin. Sift together the flour, cornflour, baking powder and salt in a bowl. In a separate, large bowl, cream together the butter, oil and sugar until smooth. Add the egg and vanilla extract, then slowly fold in the flour until the mixture comes together as a dough. Add the sprinkles to the mix by hand. Take 1tsp of mixture and roll in into a ball that fills the mini cupcake hole. Do this for each mini cupcake. Using a spoon, press down into each ball to create a well centre then pop the mini cupcake tray into the fridge for 20 minutes to firm up. Bake for 10 minutes, then remove and immediately recreate the well in the centre with the back of a spoon and leave them to cool and firm. Pipe the chocolate and lemon frosting into the cookie cups.